First, measure your waist and multiply this number by 3, then divide by 2. 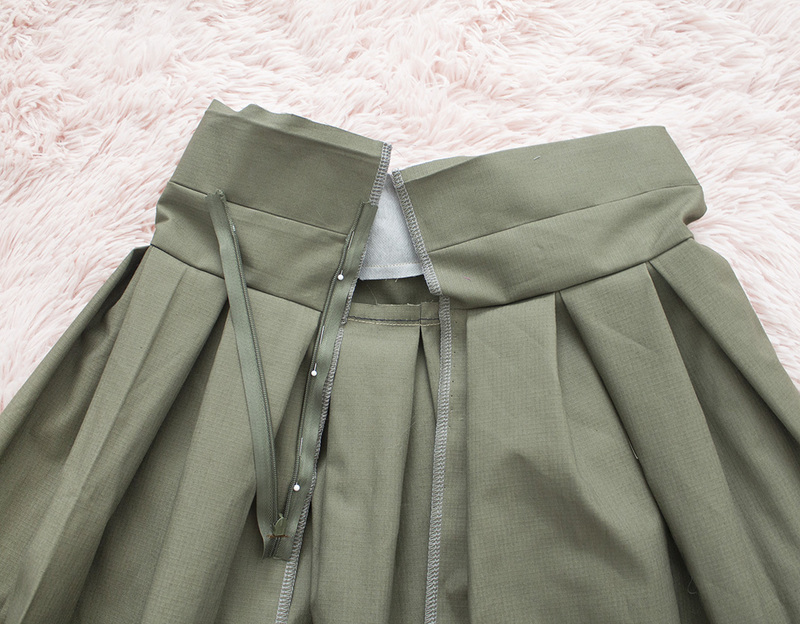 Second, decide on how long you want your skirt to be, and add 1" for hem allowance. 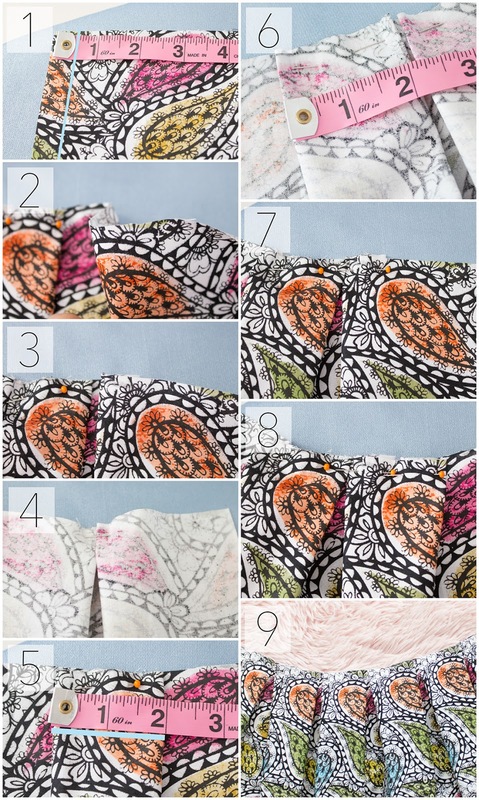 You can add more or less, depending on how big you want your hem to be. I sew a 1/2" hem, so I add 1" for hem allowance. 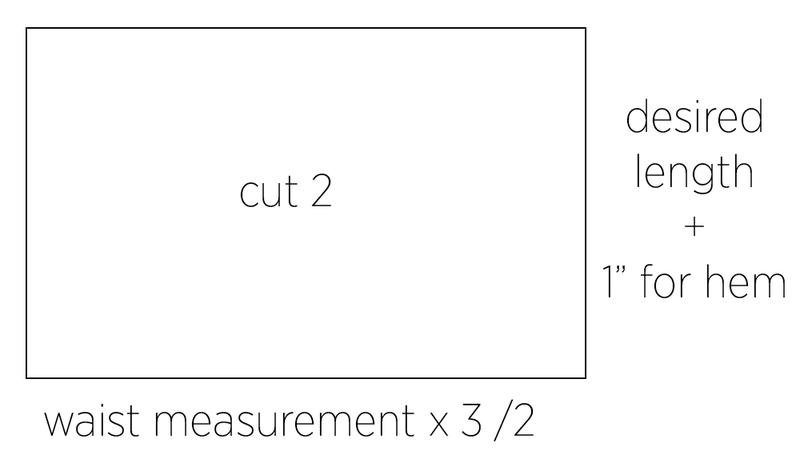 Then, cut 2 rectangles using these two measurements. Add 1-2" to your waist measurement. 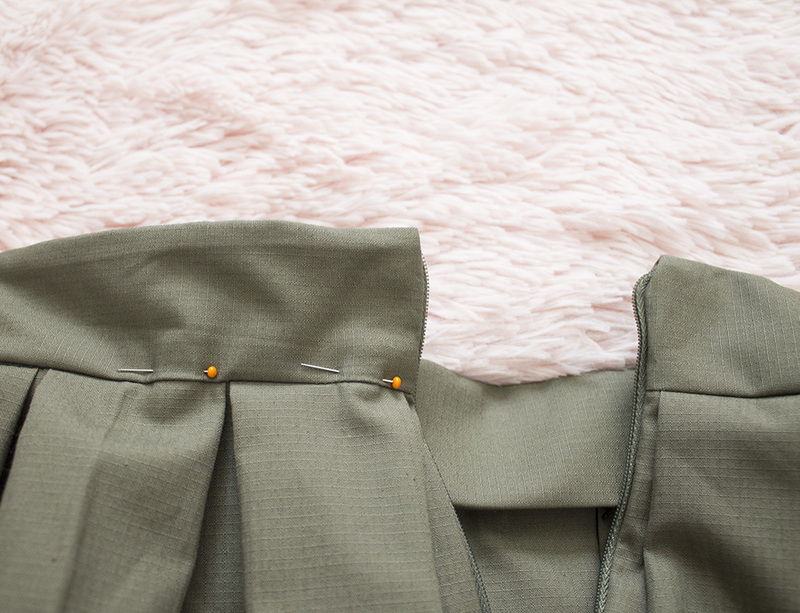 The reason I like to add more than 1" is because I like to work with extra length and cut it off later, rather than have my waistband be too short. 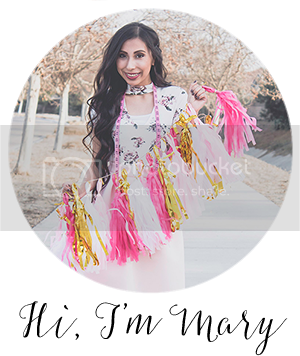 Cut 2 self pieces, meaning from your main fabric. 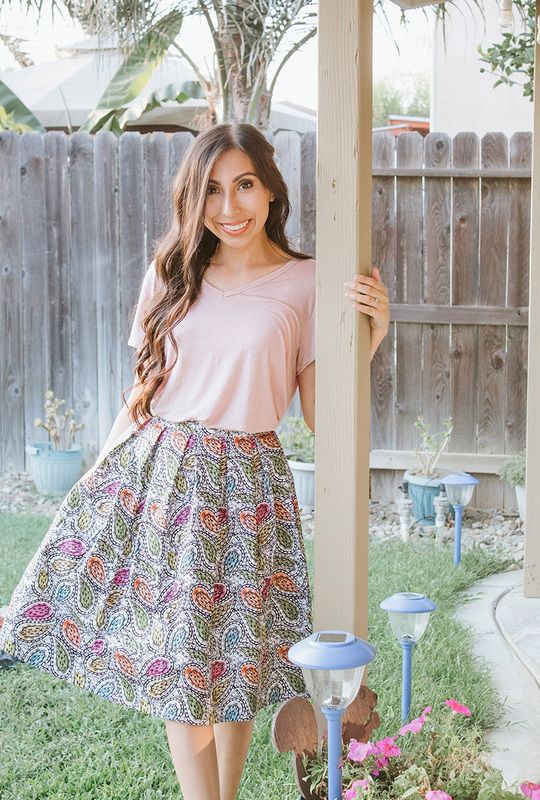 I like to add a pop of color inside my waistband, so I cut one piece from my main fabric and one from a fabric in a contrasting color or print. 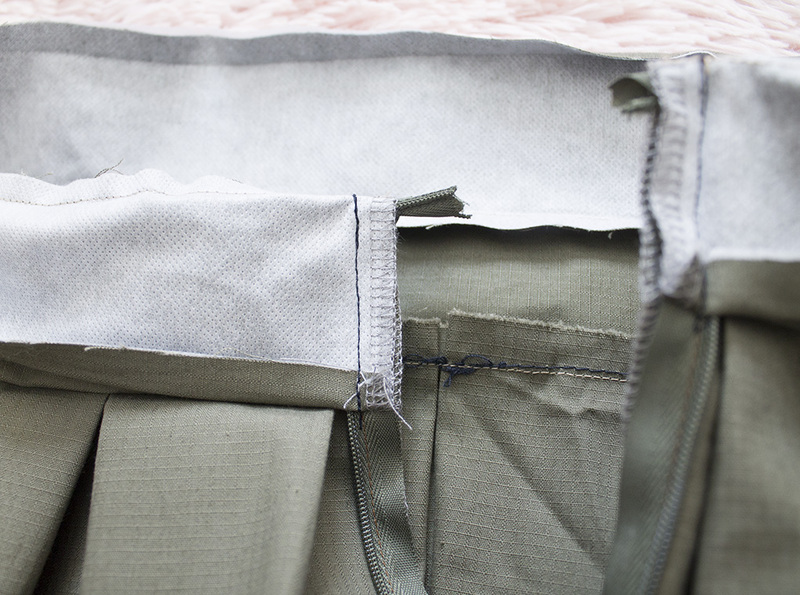 Cut 1 interfacing piece to add stability to your waistband. The desired length can be whatever you wish. For reference, I cut out my waistband pieces 2 1/2". 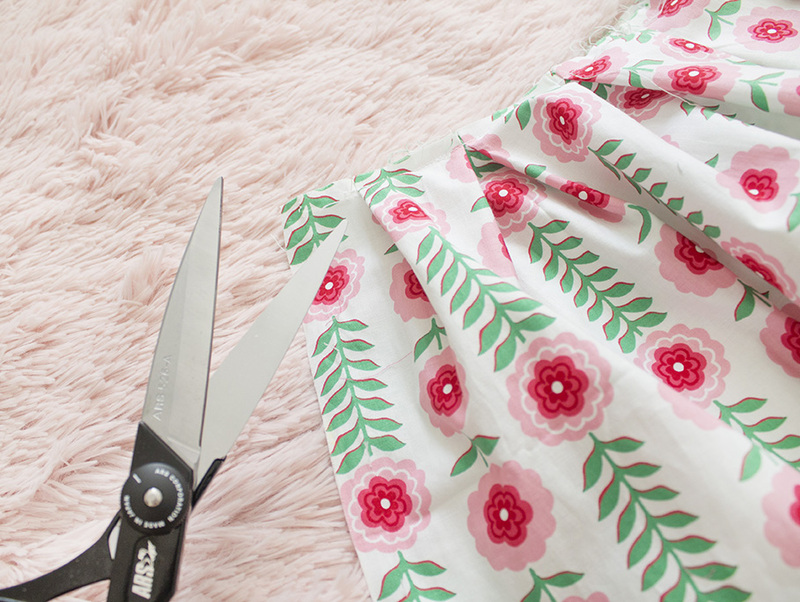 Once you have your skirt pieces and waistbands cut out, it's time to make some pleats! 1. 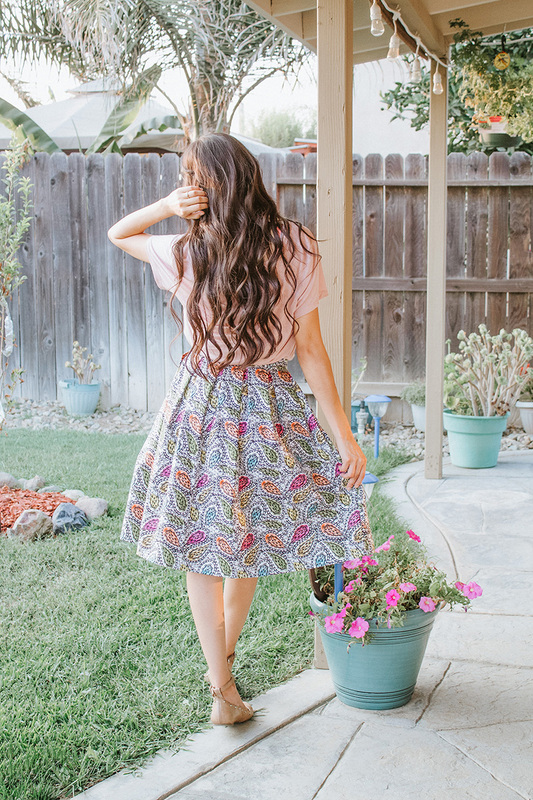 Start your pleats at the edge of your rectangle pieces. 2. 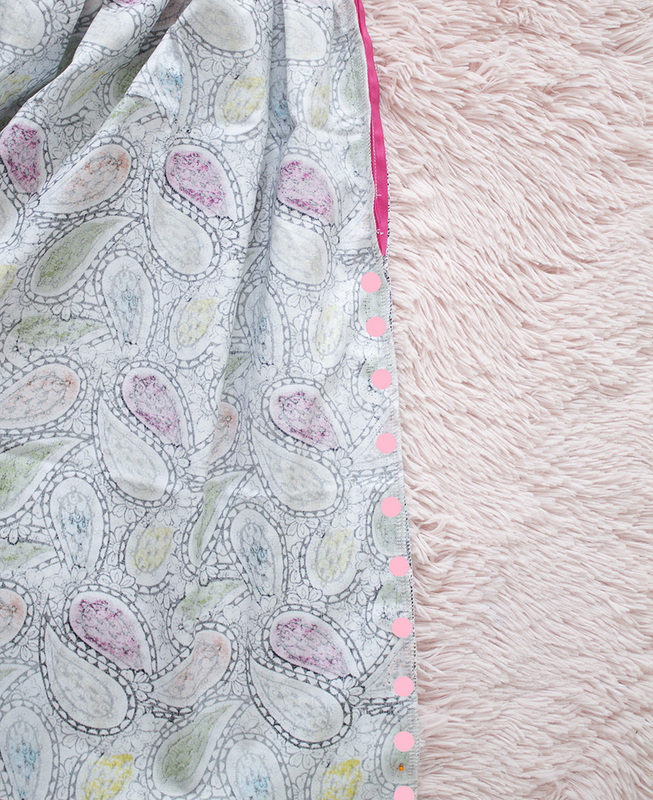 Grab your fabric as shown in the photo. 6. ...And it should measure 2" on the back. 7-8. 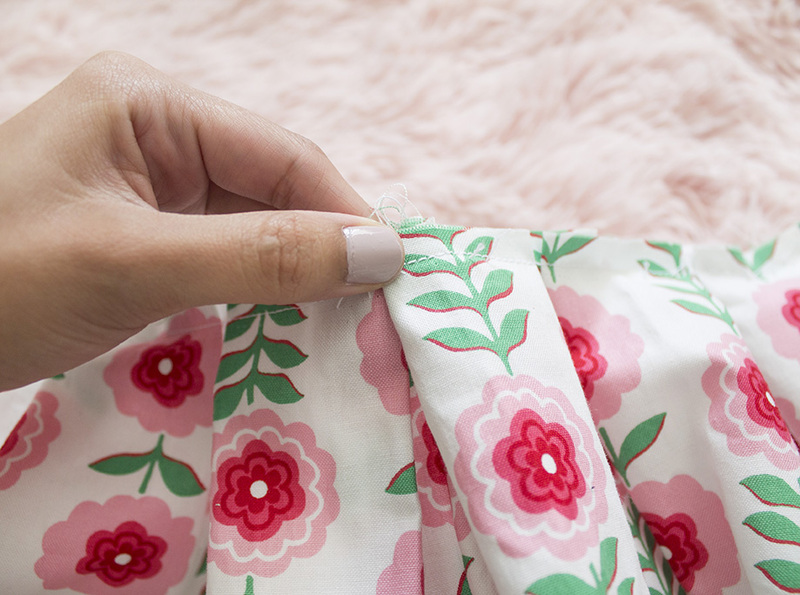 Keep folding and pinning. 9. 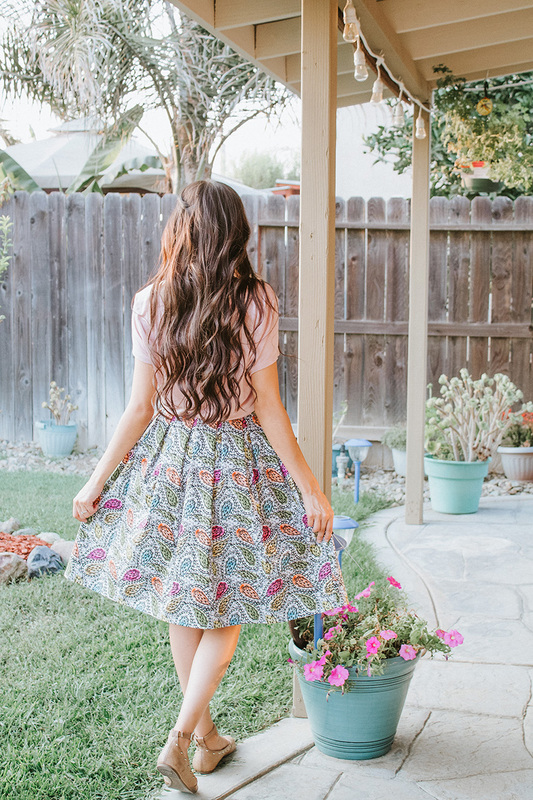 Admire those pretty pleats! 1. 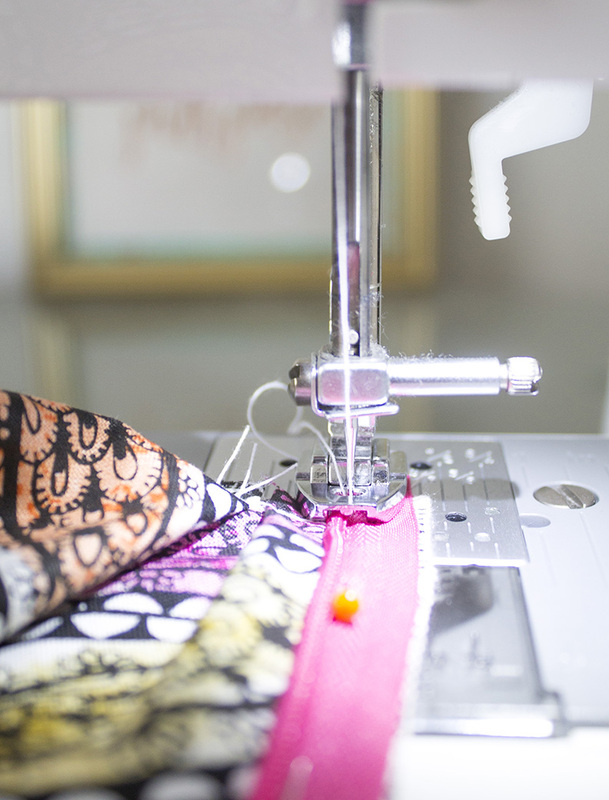 After making pleats on both of your triangle pieces, sew one side closed. 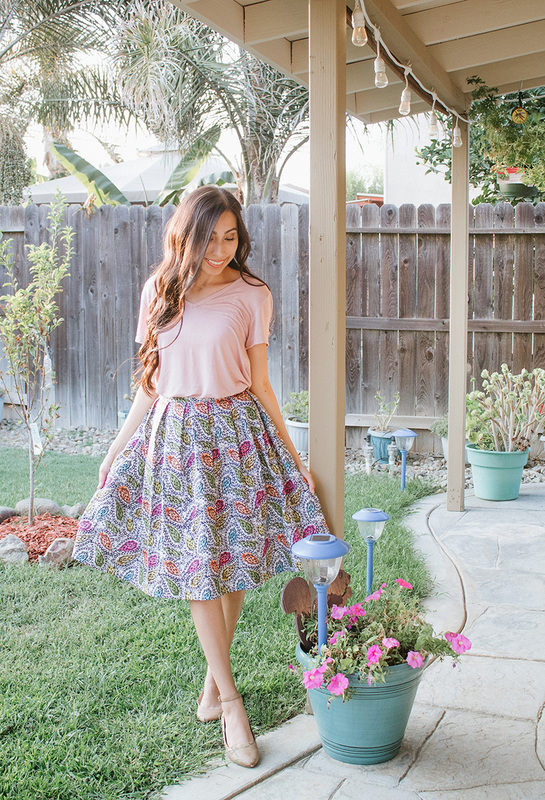 Your skirt should be close to your waist measurement. 1. 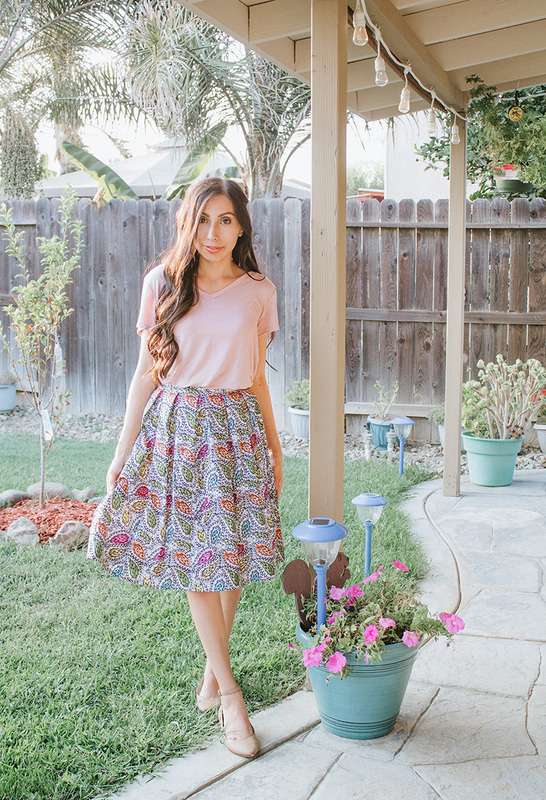 Try "pinching" in between pleats and sew down. The first place I do this is on the side seam, then on the open sides. 2. 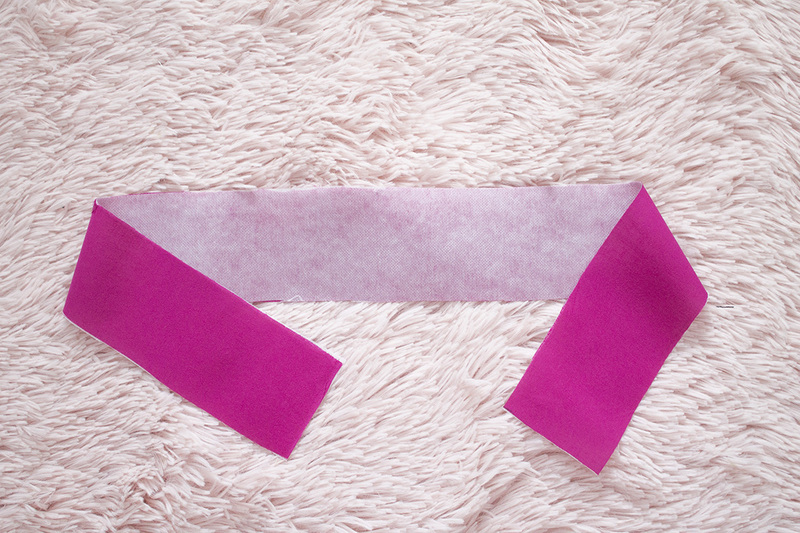 Or, you can simply chop off some of the fabric off the sides. 2. 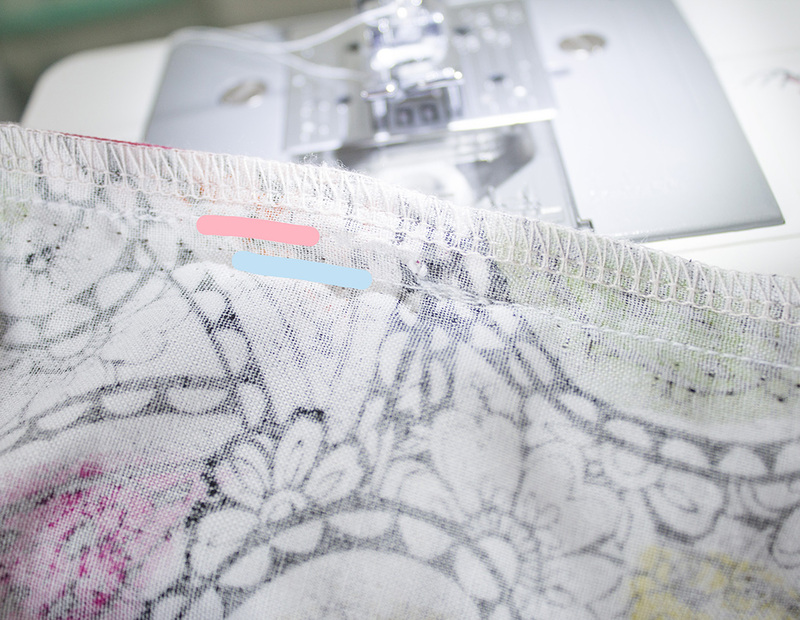 Iron on the interfacing to the inside piece of your waistband. 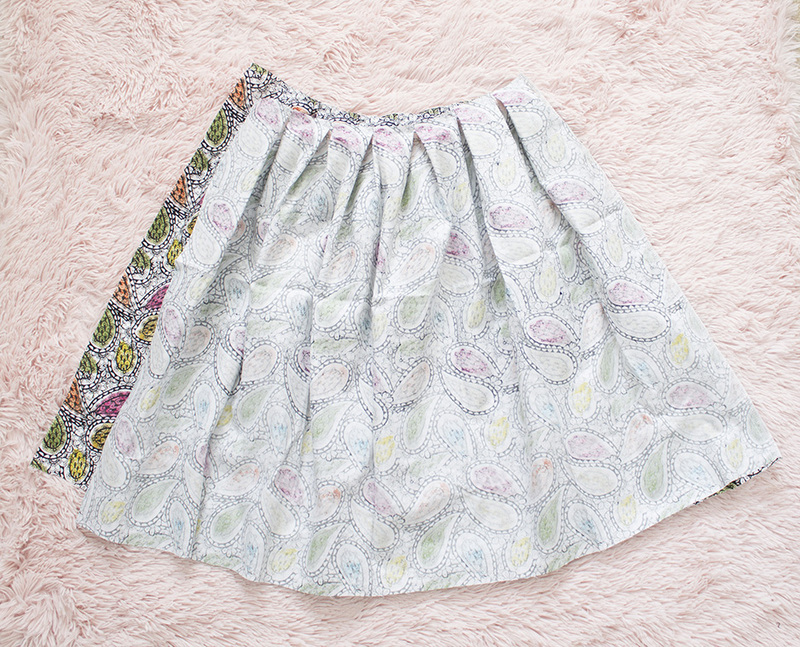 This is the piece that will be inside your skirt, not seen on the outside of it. 3. 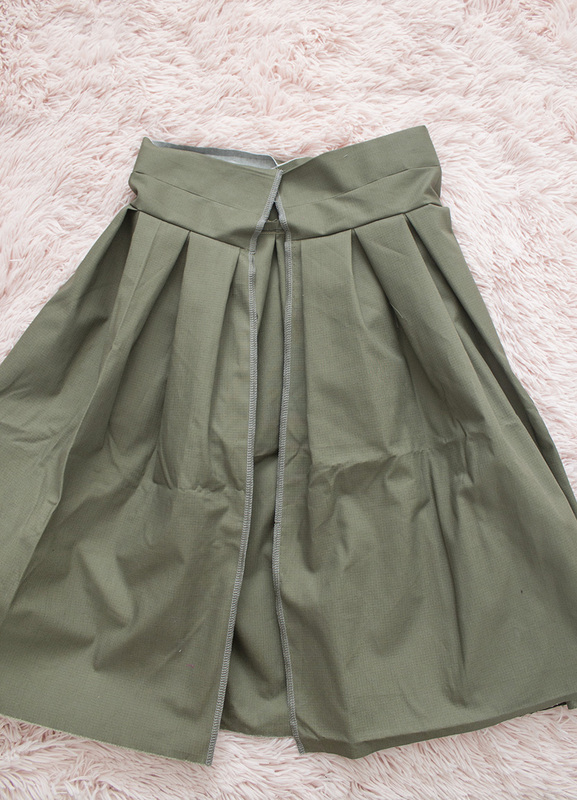 With right sides together, sew the outside waistband piece, as shown below. 4. Iron about 1/4 - 1/2" of the inside waistband piece up, as shown below. 5. Fold and iron. 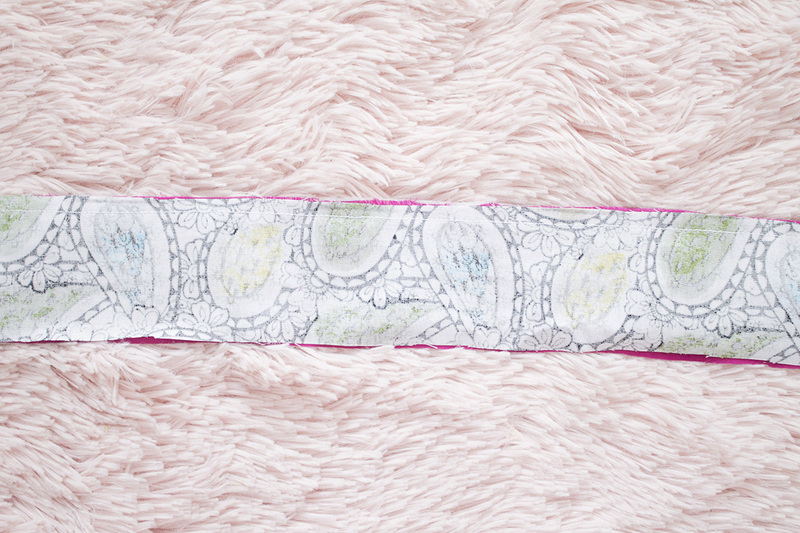 Now your waistband should look something like this. 6. 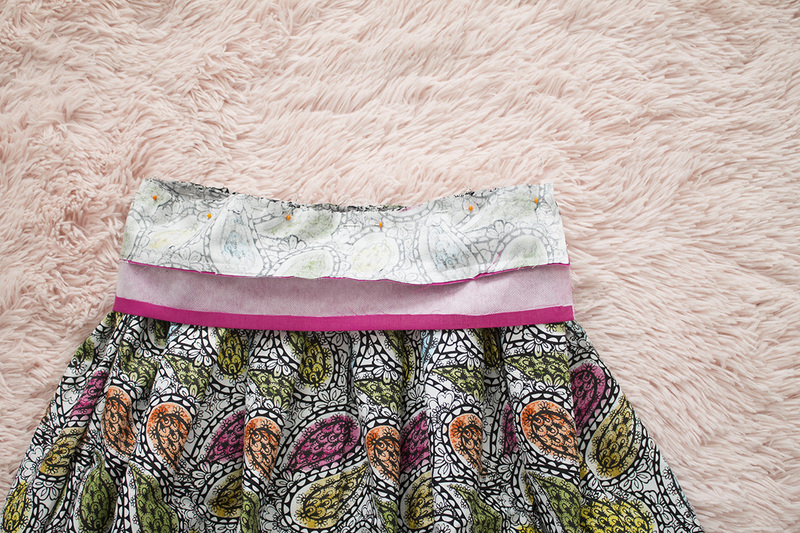 With right sides together, pin and sew your waistband to the top of your skirt. 8. 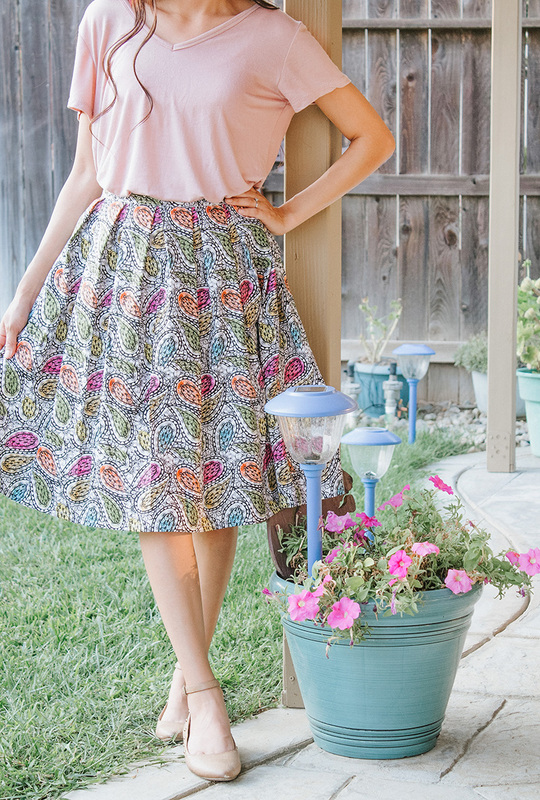 Your skirt will look something like this when you turn the waistband up. 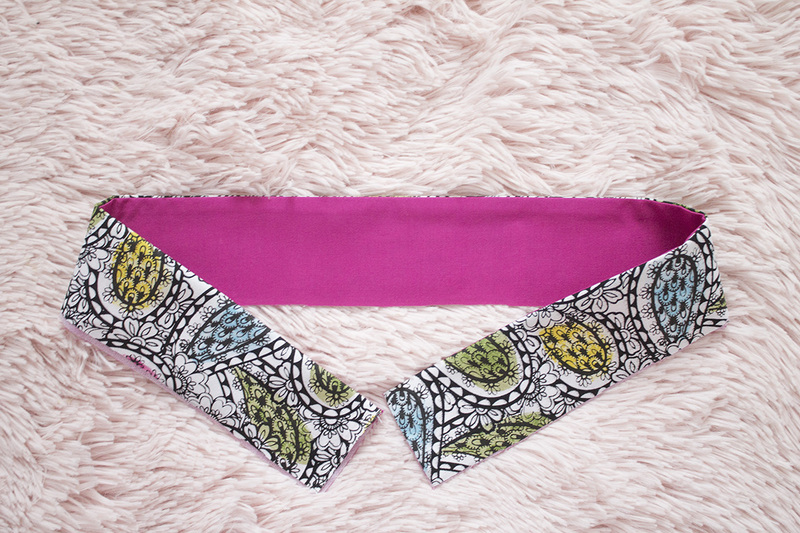 Serge the open seams or finish them using a zig zag stitch. 8. 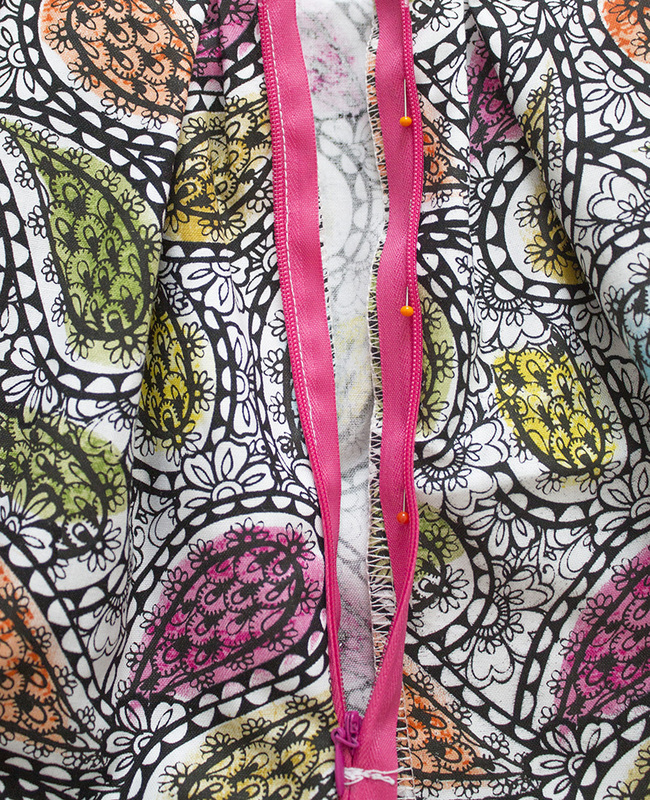 My invisible zipper was too long (I buy in bulk), so I cut it and added a stitch, to serve as a zipper stop. I usually cut my zippers 7" - 8". 9. 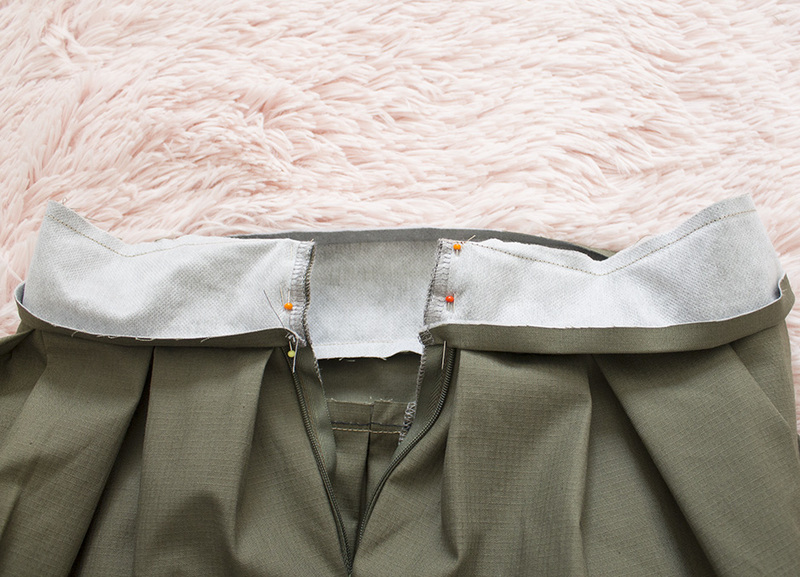 Pin your invisible zipper (face down) with the zipper stop at the edge of the inside piece of the waistband. 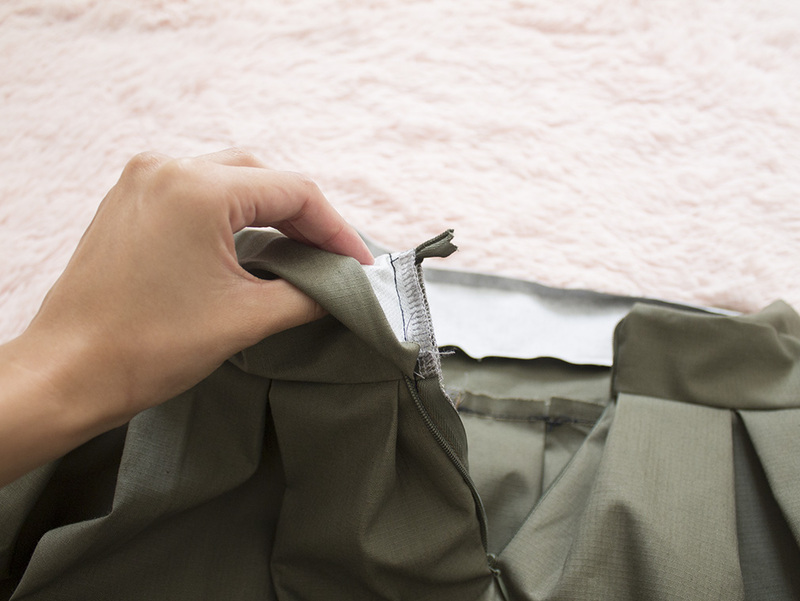 The plastic edge of the zipper should be placed at the edge of the inside waistband piece. 10. 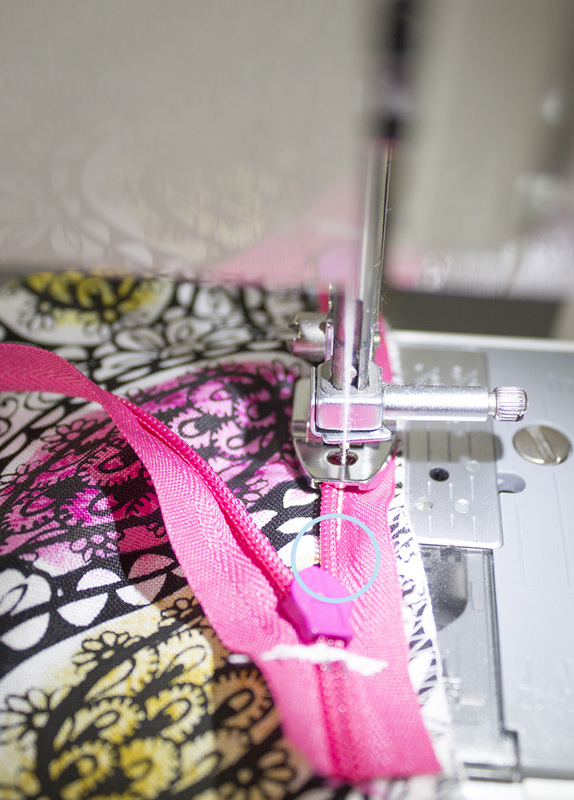 With a concealed zipper foot, place your zipper under the little"tunnel" on the left and sew. 11. Sew all the way down, as close to the end of the zipper as possible. 12. 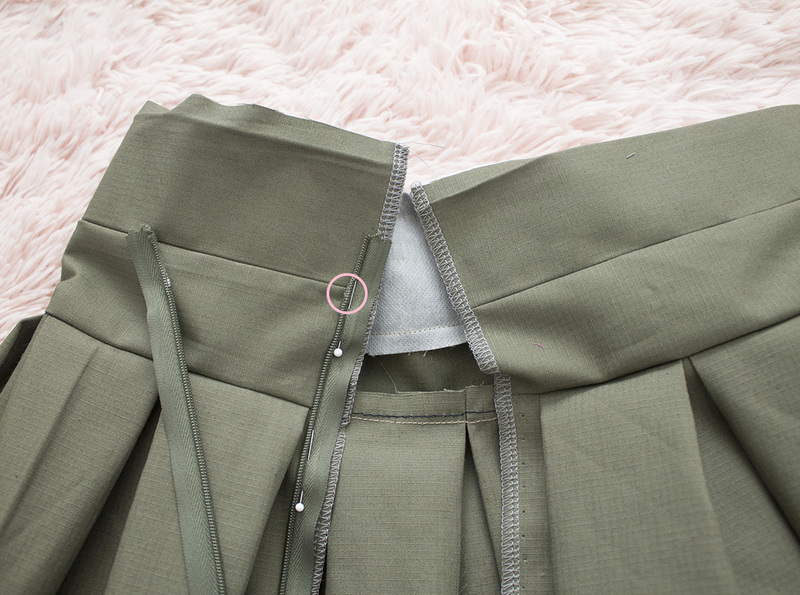 Now, pin and sew the zipper to the other side, as shown below. It'll look twisted, but that's okay, it'll make sense once it's sewn on and closed. 13. 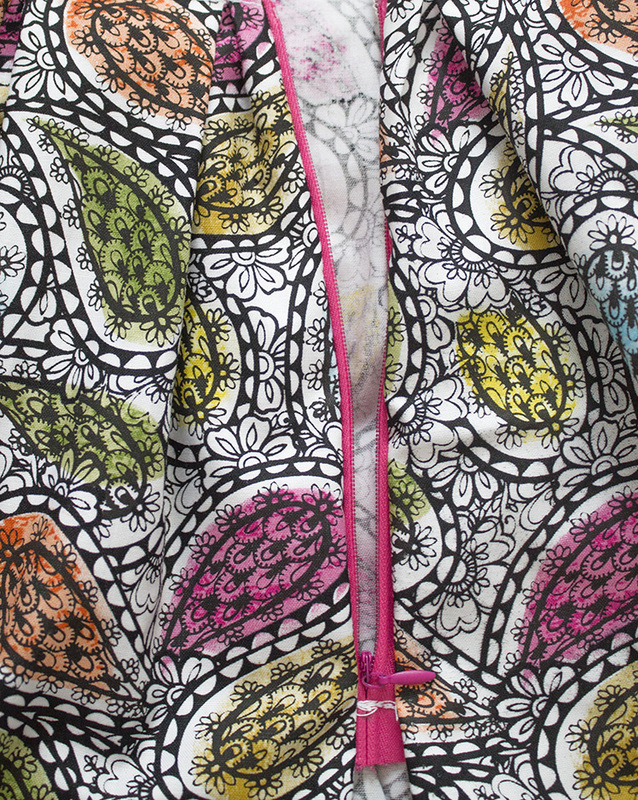 With your concealed zipper foot, this time place your zipper underneath the little "tunnel" on the right. 14. Now, you're going to sew the rest of the seam closed. 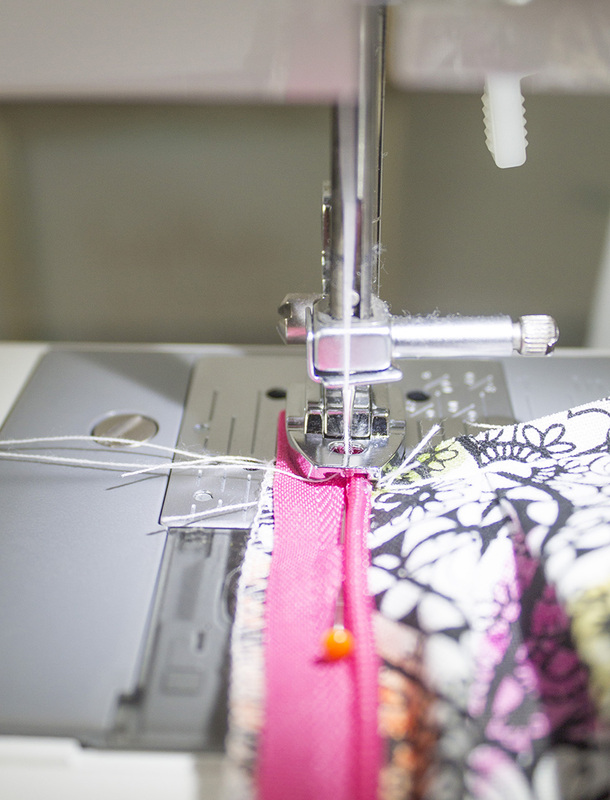 Sew as close to the zipper seam as possible. The pink line is the zipper line and the blue line is where I started to close off my seam. 15. Turn the waistband over and pin, as shown below. Pay attention to the part you ironed in Step 4. Make sure to turn that piece up. 16. Sew down right next to the zipper. 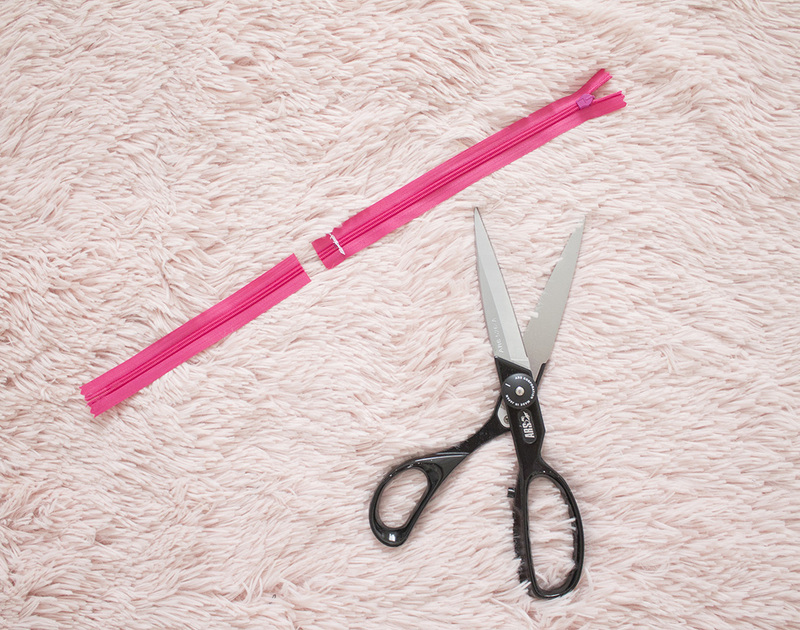 Make sure the edge of the zipper sticks outward, as shown below. 17. 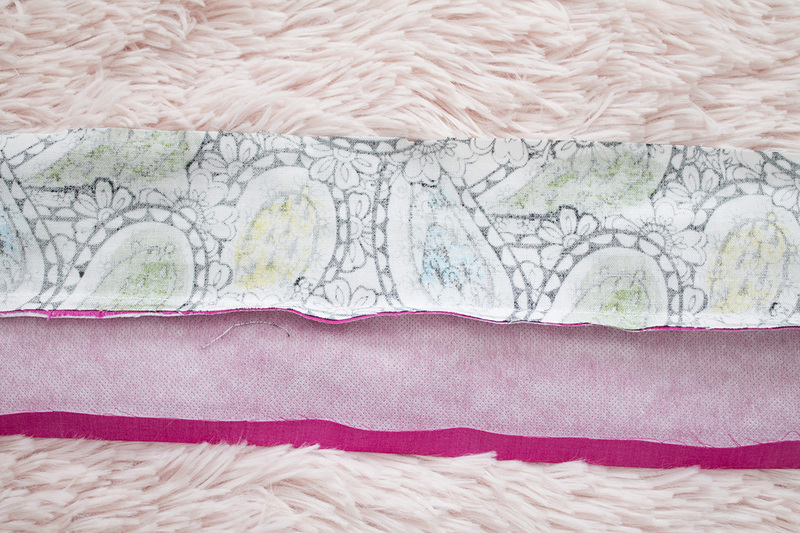 Next, turn your waistband inside out. 18. Pin down and topstitch on your new waistband. 2. Add a hook & eye, if desired.